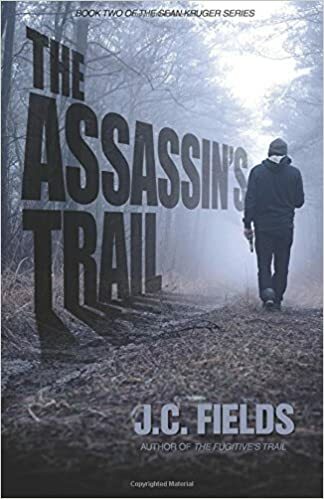 In The Assassin’s Trail, we follow Sean Kruger as he is now hunting down an assassin. What surprised me most about this book is how accessible it is. Many books of this genre get bogged down in jargon. What was the direction you wanted to take this novel that may have been different from the first novel in the series? First and foremost, I want the reader to enjoy the ride. My primary goal, as I complete more books in the series, is to NOT repeat the same story in each book. I want the same characters facing different challenges. I will not name names, but so many popular authors repeat the same premise in each book, locations change, minor characters change, but the overall story arc is the same. I am determined not to follow this path. The first book in the series is a ‘get to know you’ story. We meet the main characters and why they are who they are. The second book develops the relationship of Kruger and JR Diminski. JR is an equal partner in Assassin’s, he is critical to the flow of this story and future books. Kruger’s marriage to Stephanie, an event which happens outside the narrative, is a critical part of how he starts viewing his world. He no longer has only himself to worry about, he has her. I believe this helps the reader relate to the character. Most of us struggle to balance work-home life. Kruger is no different than the rest of us, the only difference is his work is just a little more intense. Again we’re following FBI agent Sean Kruger. While he might complain about his job he is excellent at it and his reputation precedes him. What themes did you try to capture while developing his character? A reluctant warrior. Kruger is portrayed as a man who sacrificed watching his son grow because of what he felt was a higher calling. Now in his early fifties, he finds the sacrifice he made was an illusion, benefiting no one but others. I am not sure the word disillusioned is correct, but it is the closest I can come. I think a lot of us look back on our careers and ask the question, “If only I had…?” Kruger is given a second chance to answer this question. He knows what he does is important, he just does not know if it was worth what he sacrificed. The underlying story is a metamorphosis of a career oriented individual into a man who cherishes family above all else. Stephanie joins him in this change, also realizing what she sacrificed. What were some books or authors that you felt severed as inspiration for you? Several come to mind. Frederick Forsythe for instance. I don’t pretend to write as well as he does, but I like the way his books are character driven with intricate plots. John Sandford and Michael Connelly are two others. Sandford inspired the concept of an ongoing series with a consistent title and a common protagonist. His Prey series follows the career of Lucas Davenport over the course of, currently, twenty-seven novels. Like Davenport, Kruger is a loner and not above stretching the rules to make sure an investigation moves forward. I do not anticipate the Trail series lasting twenty-seven novels, but you never know. Michael Connelly’s Harry Bosch character influenced Kruger’s dogged determination and sense of duty. While the above authors helped influence the Kruger character, I have strived to make him human and subject to all the emotions we all feel. A lot of authors use protagonists who are superhuman and can keep on going after being shot or have a broken limb. You won’t see this with Kruger. While he does get wounded, like in book two and three, it has an effect on him. Where will book 3 in the Sean Kruger series take readers and when will it be available? The third novel in the series is titled The Impostor’s Trail. It features the return of a serial killer first introduced in my short story, The Forgotten Brother Affair. This is the first time I have expanded a short story into a full-length novel. It was a lot of fun weaving the novel around the events of the original story. Part one of the novel is the short story, part two occurs six years later when the killer returns to the United States after fleeing the country. I won’t give away any more of the plot, but my beta reader indicated she felt it is the strongest of my three novels. The Impostor’s Trail will be released July 25, 2017, as an eBook and paperback. It will be produced as an Audible.com book sometime in the fall of 2017. FBI SPECIAL AGENT SEAN KRUGER IS BACK! The brutal assassination of two men has Homicide Detective Ryan Clark fearing the worst. A serial killer is on the loose in the Washington, DC area. Without hesitation, he calls an old friend at the FBI. FBI profiler Special Agent Sean Kruger is hesitant to become involved with another long and tedious investigation. He is in the twilight of his career and tired of the travel, bureaucracy, and politics of his job. He and longtime girlfriend, Stephanie, decide to marry and do something different with their lives. He wants no part of Clark’s serial killer investigation. But when the assassin strikes close to home, it becomes personal. With the help of JR Diminski, the computer genius from The Fugitive’s Trail, he identifies a suspect. When the attempted arrest goes horribly wrong, Kruger is suspended for disobeying a direct order from the Director of the FBI. Now outside the protection of the agency, he must decide to either walk away after twenty-five years with the agency or put his new marriage and life in danger as he continues to pursue the assassin. An assassin whose ultimate goal is an attack in the center of the United States. An attack that could result in more civilian casualties than 9/11. The Fugitive’s Trail centers on the skills of Special FBI Agent Sean Kruger as he must track down a fugitive that apparently doesn’t exist. What was the inspiration for the setup to this exciting novel? Dropping off the grid and disappearing has always intrigued me. How would someone do it? What skills set would a person need to accomplish such a feat? So the book started with a basic, what if. The character of Sean Kruger was conceived in 2006 when I was involved with an online writing blog. The original character was just, Kruger. A scallywag, a nefarious individual with no moral scruples. During the blog, he became Sean Kruger. My laptop hard drive is littered with discarded stories about him. Gradually, over the years, as I developed the character, he evolved from a pirate to a person of moral integrity. And finally an FBI Agent, the character we find in the Trail series. As the concept of a story concerning dropping off the grid started to grow, I decided it was a great venue for introducing the reincarnated version of Sean Kruger. One thing led to another and The Fugitive’s Trail was born. JR Diminski appeared in an early draft of the story, originally conceived as a throw-away character. The more I wrote more about him, the more intriguing he became. I know it sounds weird, but as you write, some characters become more important to the story. Such was JR’s future. He is now as important to the Trail series as Kruger. After a comment by my oldest son, I am planning a standalone novel with him as the main protagonist. Sean Kruger is an FBI agent and I felt that the daily interactions of the agency was well handled. Did you do a lot of research to maintain accuracy of the subject? A lot of research, reading and a chance encounter with an FBI agent on a plane bound for California. I have more experience with corporate bureaucracies than I care to discuss and the FBI is a huge bureaucracy. Looking back on my business background, it was easy to extrapolate how a huge entity like the FBI would function. The Fugitive’s Trail is a genre-crossing novel with elements of a crime, drama, and suspense as well. Did you start writing with this in mind, or did this happen organically as you were writing? A passion for reading was a gift from my mother. 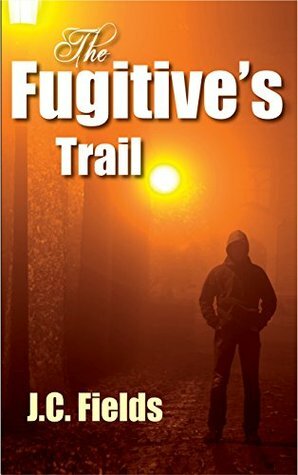 Authors like, Michael Connelly, Robert Crais, Daniel Silva, David Baldacci, James Rollins, Lee Child, Frederick Forsyth, Craig Johnson, Ben Coes, and numerous Indie Authors were consumed before I started The Fugitive’s Trail. The adage of ‘write what you enjoy’ is how I approach novels. As you can see from the books I read, my influences include various genres. I don’t outline, but I know where I want to start and I have a general idea of where I want to finish. The exciting part of the journey is the middle. So, to answer your question, it happens organically. I have zero qualms about cutting wholesale sections of a manuscript if it stops working. The Fugitive’s Trail took five years to write. But during those years, I learned a lot from numerous starts and stops encountered along the path. The original manuscript is nothing like the final book. A good editor is essential to a good novel. I was lucky, I found a good editor. It also helps to have an active critique group. This is the first book in the Sean Kruger series. Where will book two take Sean Kruger? Book two of the series will find Kruger pursuing homegrown terrorist. A third novel, planned for a summer 2017 release, will feature Kruger confronting the return of a serial killer introduced in my short story titled “The Forgotten Brother Affair.” This story is available for free on my website. The original plan was to write a trilogy, but a fourth novel, with Sean Kruger as the protagonist, has over 40,000 words in a first draft. I am not sure about the title at this stage, I haven’t decided if it will be a “Trail” book or not. I am striving to write distinctly different books with each installment. So many authors write the same book over and over and after a while it gets boring. My goal is to keep from going down this path. If I do, the Trail series will conclude. For now, I have a few more Kruger stories up my sleeve. The fugitive is a ghost. A ghost who has disappeared. In The Second Sphere humans live longer, but terrorists aim to remove all life from the moon and Mars and return humans to Earth. 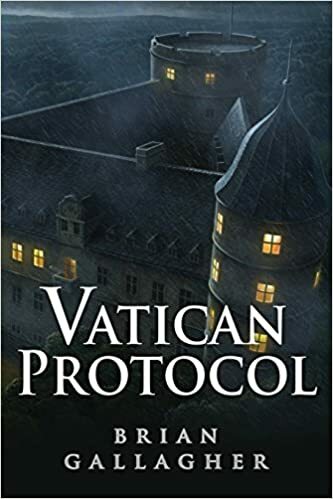 This is a genre-crossing novel with elements of a science fiction, thriller, and mystery as well. Did you start writing with this in mind, or did this happen organically as you were writing? I try to tap the things that I love to read. People like George Pelecanos, Walter Moseley, and Michael Connelly are huge influences. I’ve always appreciated their characters; those who have their own unique ways of viewing and interacting with the world. I’ve always loved sci-fi, particularly dystopian futures, think Blade Runner. And I’ve always been fascinated with and a bit scared of conspiracies, particularly when it comes to government involvement with extraterrestrial life. All of it just came together when I sat down to write. In this story human bodies are reduced to synthetic versions and the main character Orion has lived for a very long time. Where did this idea originate from and how did it develop as you were writing? A good friend of mine introduced me to Ray Kurzweil’s vision of the singularity, I don’t know, maybe five or six years ago. The more I thought about it, the more the singularity kind of horrified me. Certainly there are some practical and humane possibilities when it comes to the intersection of technology and health. But at what point do we consider what we lose by literally giving up our bodies in the search for ever-lasting life? Part of this book is about processing the dark underbelly of technological advancement and scientific discovery. It’s not easy to envision this type of a future. I ended up rewriting the details over and over because I felt that I was projecting my biases as a person living in the 21st century on a future that is barely on the horizon. Of course I couldn’t escape those biases completely, but I tried to. The science inserted in the fiction, I felt, was well balanced. How did you manage to keep it grounded while still providing the fantastic edge science fiction stories usually provide? I tried to write what I enjoy reading. At one point in my rewriting process, I eliminated nearly all of the science in order to keep the story moving. A reader of mine really let me have it. He was right. My goal was to make the story as lean as possible, but I’d diluted the setting. So I re-inserted the portions that grounded the story a little bit more. I wanted to give the reader just enough without being burdened. 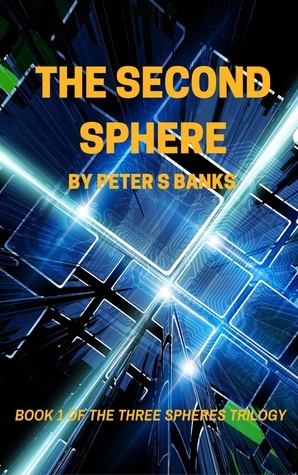 The Second Sphere is book one in the Three Spheres Trilogy. Can you give us an idea of what the next book will be about and when that will be available? My goal is to have book two, tentatively titled Red Death, out by next Spring. This second book is going to be pretty dark. I wanted to have the book out this year, but it’s taken me longer than I imagined to get the story itself in shape. I wanted to will it in a more optimistic direction, but that’s not where it wants to go. So I have to listen to the story that’s being told to me.